Honda Motor Company, Ltd is a Japanese public multinational corporation primarily known as a manufacturer of automobiles and motorcycles. 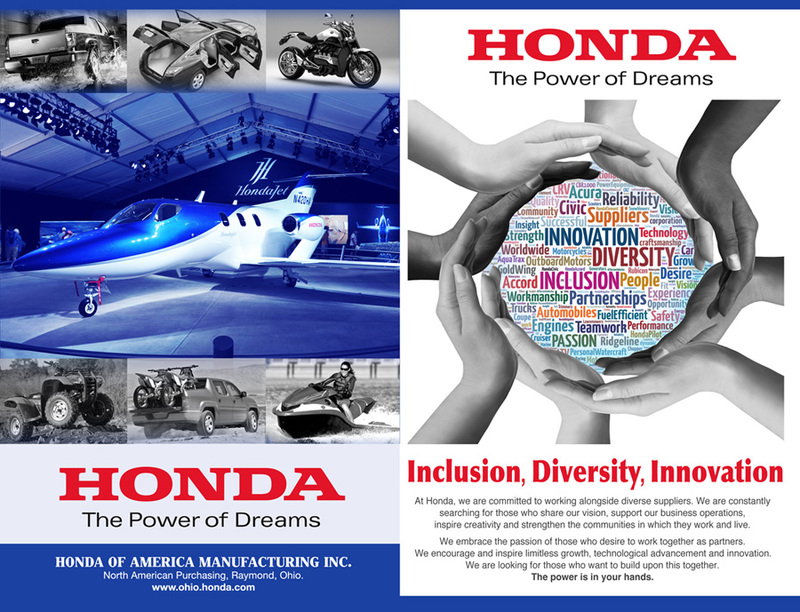 The American Honda Motor Company, Inc. (sometimes abbreviated as AHM) is a North American subsidiary of the Honda Motor Company, Ltd.. Honda's economic contribution to America has grown to more than $12 billion in capital investment and 26000 jobs. 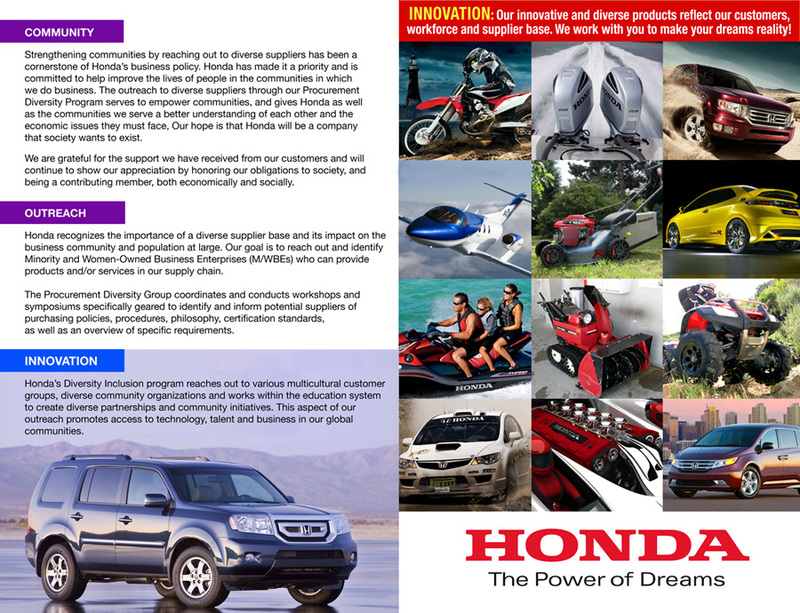 Design a Brochure for Honda using the Word Cloud General Ad graphics already created by Webphotographix. 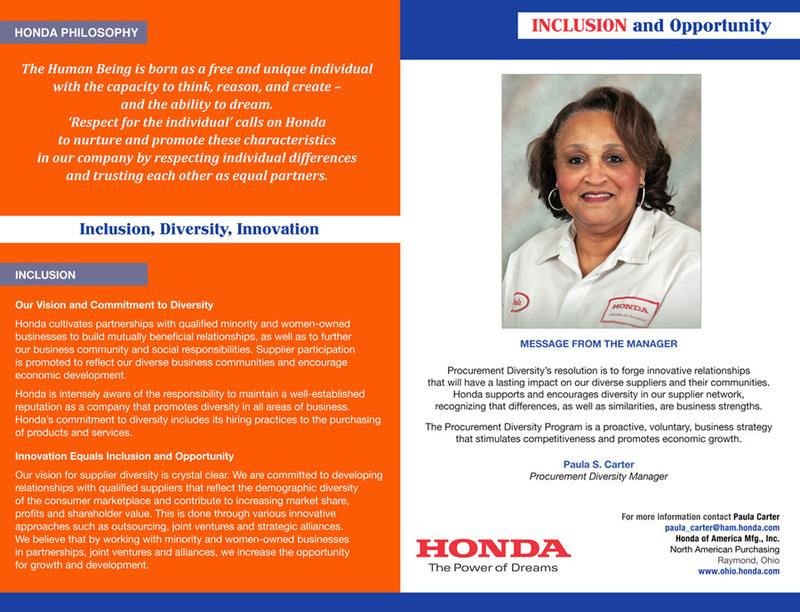 The brochure was only part of the marketing materials created for Honda. The other pieces included an invitation, press and magazine ads.